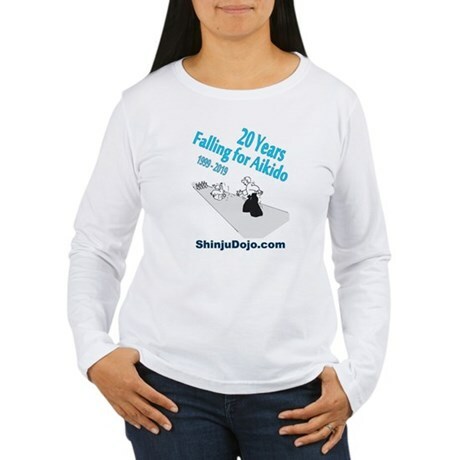 Shinju Dojo T-shirts, coffee mugs, clothing, stationary, and more. If you want another t-shirt, you can get it here. Buy one for a friend! Excellent reference for some of our most important techniques and very well-illustrated. Nick's book on Amazon.com and at Amazon.ca (Kindle edition also available). This book is available online. It provides a history of Tomiki style Aikido, and is a reference for some of our techniques - at least as they were in the 1960s. Windsong Dojo, Oklahoma City, OK - Nick Lowry also has a huge list of Aikido-related topics and instructional videos. Kaze Uta Budo Kai is the association we belong to and where you can find many incredible martial art schools. Lucky Dog Dojo, Vancouver, BC, Canada. Jessica Hilliam is the owner of our sister school on Granville Island.